The Society of Collision Repair Specialists announced Thursday two mainstream and two luxury OEMs would fill out a SEMA panel examining what could be a game-changing trend of automaker collision repair certification. The Thursday, Nov. 1, “The Evolution of OEM Networks and Expectations” forum from 11 a.m-12:30 p.m. will be the second of the three sessions within SCRS’ annual OEM Collision Repair Technology Summit. The session will feature General Motors customer care and aftersales collision manager John Eck, Volvo certified collision program manger Kenneth Park, Mercedes collision business manager Ben Cid and Nissan collision network growth and strategy manager Mark Zoba. It’ll be moderated by Assured Performance technical compliance Vice President Aaron Clark, whose company manages certification for multiple OEM’s, including Zoba’s Nissan, and by Reliable Automotive Equipment President David Gruskos, whose company sells equipment OEMs require of certified shops. “In this 90-minute panel discussion, representatives of General Motors, Mercedes-Benz USA, Nissan Group of America and Volvo Cars USA will share details of their distinct program structures and elaborate on how the expectations have evolved to their present state,” SCRS wrote in a news release. The OEM certification trend is arguably at a tipping point with No. 1 automaker General Motors’ preparation to move forward with a network of company-approved body shops and actively refer customers there with OnStar. The company also plans to keep an eye on shop repair quality, in contrast to more passive certification models. Other automakers are likely to follow GM’s lead, if they haven’t already. Subaru, which also has begun to launch a certified collision program this year, described contacting customers at the point of impact and auditing OEM parts usage and repair procedure lookups (though it’s not checking repair quality). 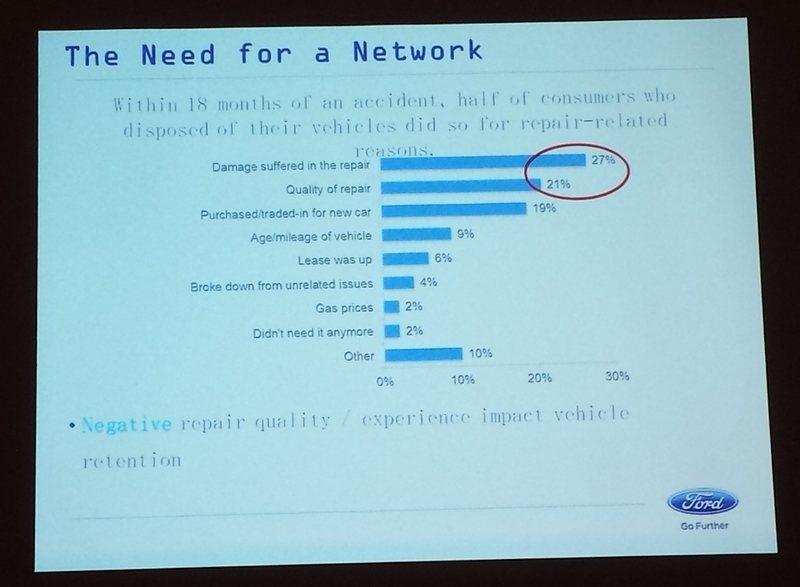 Ford is examining auditing repair quality and pointed to its “smart vehicles for a smart world” philosophy when asking about telematics-referred shops. “There has never been a better time to gain an understanding of what OEMs expect of the collision repair community,” SCRS wrote. The ability to leverage both telematics — which allow an OEM to detect a crash and contact the owner — and customer trust could shift the industry’s referral landscape. 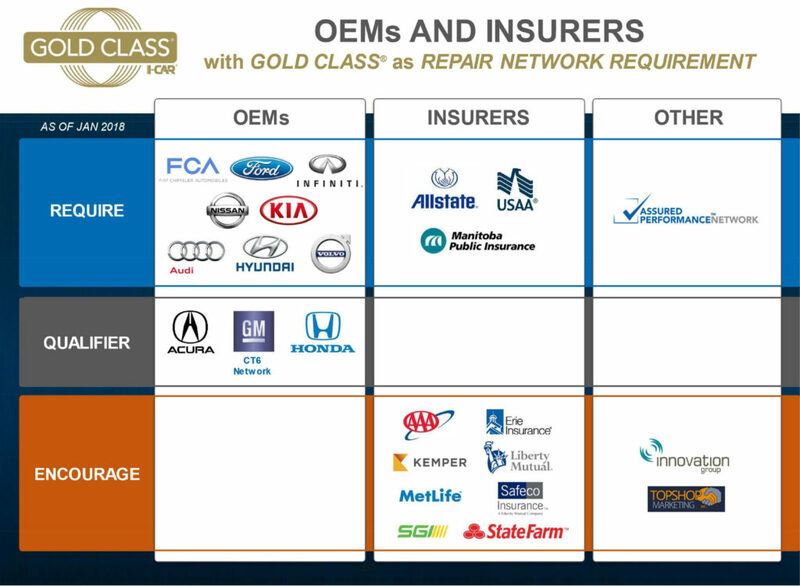 Direct repair programs might lose some referral business, and the existence of both OEM and insurer networks could make it extremely difficult for a shop unaffiliated with either to compete. Ford global collision business and strategy manage Jennifer Boyer has recounted research from two years ago that found 52 percent of respondents stating that OEM certification was most important to them when picking a body shop. IBIS reported that only 21 percent of those polled by Ford called a family or friend recommendation most important, 20 percent put an insurer recommendation No. 1, and 7 percent just wanted a convenient location. 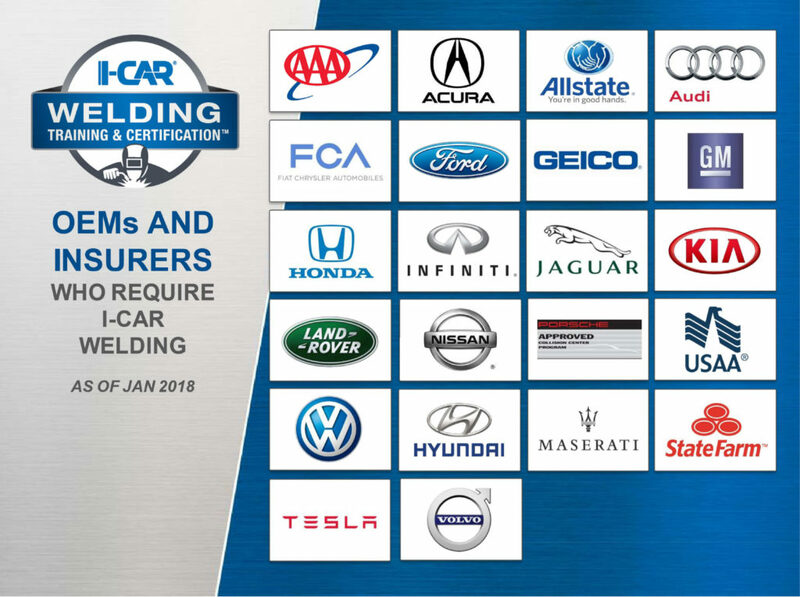 Insurer DRPs seem to emphasize customer satisfaction and cost-cutting, though some programs demand Gold Class status, and State Farm notably in 2017 required competence in all three I-CAR welding tracks. OEMs are reportedly getting into the certification game because they’re concerned about the hit their brand takes with poor quality repairs. Collision Advice CEO Mike Anderson at this summer’s NACE MSO Symposium cited FCA collision marketing manager Erica Schaefer’s data that 60 percent of customers who have to revisit their body shop with a comeback will sell or trade the car in a year. And 63 percent of that 60 percent will switch brands entirely as a result. It’s less about selling parts and more about brand loyalty and customer retention, Sean Carey of SCG Management Consultants agreed in a 2016 VeriFacts Guild 21 call. New OEM parts sales are a drop in the bucket, a mere $140 million market per point of retention, Carey said. But every percentage point of the overall auto market an automaker controls is worth $5 billion, he said. OEMs have realized that a bad repair or a total loss costs them some of that share — while they’re releasing vehicles that are growing harder to repair. “Frankly, there aren’t very many shops capable of repairing the technology that’s in the market today,” Carey said then. SCRS on Monday revealed the lineup for the first of the OEM summits, “The Rules – and Challenges – of Structural Repair on Modern Architecture” from 9-10:30 a.m. Nov. 1. It will feature Dan Black, FCA advanced body development service engineer and collision repair manager; Robert Hiser, Auto/Steel Partnership advanced high-strength steel repairability lead and General Motors body structure service engineer; Shawn Hart, Audi curriculum designer and collision instructor; and Mike Kukavica, Porsche aftersales techical training collision repair technology instructor. It plans to soon announce more details about the other OEM Summit session mentioned in Thursday’s release release: “The Future Impact of Telematics, Technology, Transportation and the Collision Industry” from 3-5 p.m. Nov. 1. SCRS also on Thursday acknowledged 2018 OEM Summit sponsors AkzoNobel, BASF, CCC, General Motors, PPG, Sherwin-Williams and Spanesi. Register for the OEM certification course here, sign up for all three parts of the OEM Summit here, or, for the best deal, buy the Full-Series Pass for unlimited Repairer Driven Education access. Classes are $75 now, $85 after the Oct. 12 early bird deadline. The full-series pass, which costs $375 now and $400 after the deadline, grants the repairer access to every RDE class, all three sessions of the OEM Summit, the Sky Villa afterparty, and the brand new IDEAS Collide TED-style event Friday, Nov. 2. Details and registration: www.scrs.com/rde. 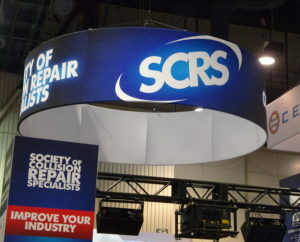 Other information about SCRS: 1-877-841-0660, info@scrs.com or www.scrs.com.